A stock aircraft called Copter. Built with 126 of the finest parts, its root part is fairingSize1. 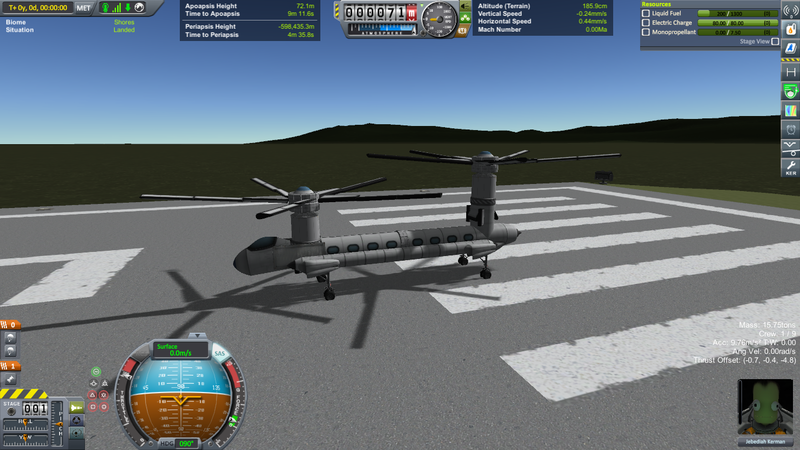 Stock helicopter that can tilt the rotors around, similar to the real helicopters. Other than that it doesn’t really work that well, because it is almost impossible to control. Maybe someone will be able to use the rotor tilting mechanism to build working helicopter.